One of the biggest problems people have with their dogs is poor leash manners. 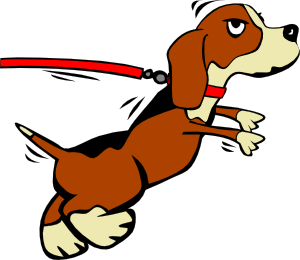 I often see owners being dragged down the street, while their dog pushes, pulls and runs to and fro racing from one area to another; that is not an enjoyable situation for the human! Pulling can also be dangerous not only for the human and their rotator cuff, it can damage the dog’s windpipe permanently. It is, after all, the human who is taking the dog out for a walk, it should be just as enjoyable if not more so for them than their dog! When I take my dogs out, I see it as a privilege not something that is owed to them, it is MY walk and I am inviting them to join me on my excursion. Keep this in mind when walking your dog, it is about you, and your dog should learn if he is good and respectful of you he can come along to enjoy your time. 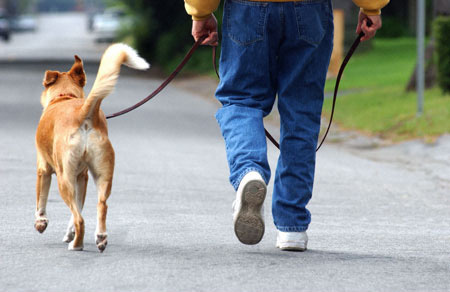 First things first, you must teach your dog about leash walking. In my opinion, the most important facet of leash walking is “THE LEASH” it is essential to me that the leash is always the same length, meaning I never train with a flexible leash. My dogs must know exactly how many feet they have before they are at risk of pulling me. The next part about the leash is to make sure it is easy on my hands, I am a leather snob I like it because it doesn’t hurt if my dog does pull. I also like a regular buckle collar or a martingale collar. A well leash trained dog should be easily walked on a regular collar. 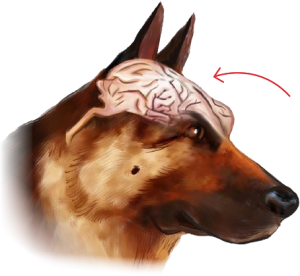 Choose a side of your body for your dog to be on all the time, or most of the time. I chose the left side because that is where the “Heel” position is located. I put the handle of the leash over my right thumb and then grasp it in my right palm. I can make it shorter or longer as we are working simply by releasing my grip or gathering more. I DO NOT wrap it around my wrist! If you wrap your leash around your wrist and your dog takes off you can be seriously injured. My grip is much stronger than my wrist could ever be, you would never do a pull up with your wrists. Do not touch the leash with your left hand if your dog is on your left side. We have a tendency to want to pull or strangle our dogs and put constant pressure on their collar, which forces them to pull back. If you grab and pull someone, they pull away, it is instinct. Don’t pull on your dog! Make it almost impossible for you to strangle your dog by using the opposite hand to hold the leash. Put treats into your left hand so that you can reach down and put them in front of your dog’s nose. Admittedly, this takes some grace and skill which may elude you at first, but with practice you will get it down. With the leash in your right hand, draped across your body and hanging loosely from your dog’s collar, grab a handful of treats and stick them next to your dog’s nose and lure him forward 3 steps with the treat, then stop and release the treat. Continue doing this for two to three steps at a time. You may also start to ask him to sit when you stop. Once your dog has the idea, you can begin taking more steps. If your dog chooses to be next to your leg and is not pulling, reward with praise and treats. 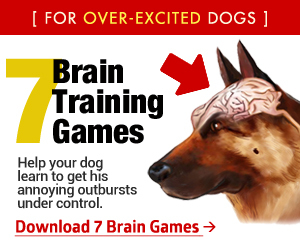 Change your pace, make some left and right turns and make this fun by rewarding your dog for following your hand. If your dog is not paying attention, play a fun game of keep away! If my dog is not watching me and starts to go forward, I turn around and change my direction. My dog will soon wonder where I went and try to catch up to me. If he looks to the left and I think he is going to start to go that direction, I go to the right. When he catches up to me and is again back at my side, I reward him with praise and a treat. I want him to choose to be right next to me on his own, and I also want him to think that unless he keeps an eye on me he never knows which way I will turn. I simply want him to learn to not pull me, and to keep his eye out for where I am going. He should notice immediately when I change my direction. The moment you notice he is not paying attention; go the opposite way before he pulls on the leash. This should be fun! He should think that the object of the “game” is to watch you and stay next to you. 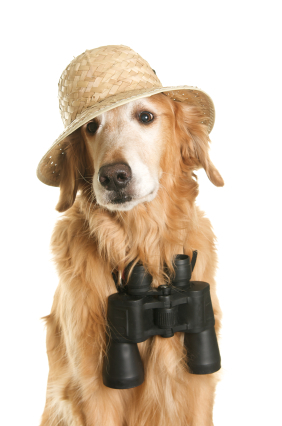 This is a training exercise, don’t expect to go on an actual walk with a destination. You will be changing your direction and turning around often so understand that distance is not the goal. Walking in a straight line is BORING!! Even at its best, or fastest pace one direction is a yawn fest for your dog, which is why his nose wanders and he tries to find something else to entertain him. Stimulate his mind by changing your direction, making a circle to the left or to the right, throw in some left turns and some right turns, stop and ask him to sit or down. 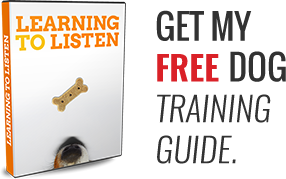 If you mix in some obedience and turns, it makes it fun and exciting for your dog, your dog will never know what is coming next so he is more likely to pay attention to you. He lives for diversity, give it to him and make it fun!